Are Roth IRA Startup Expenses Tax Deductible? 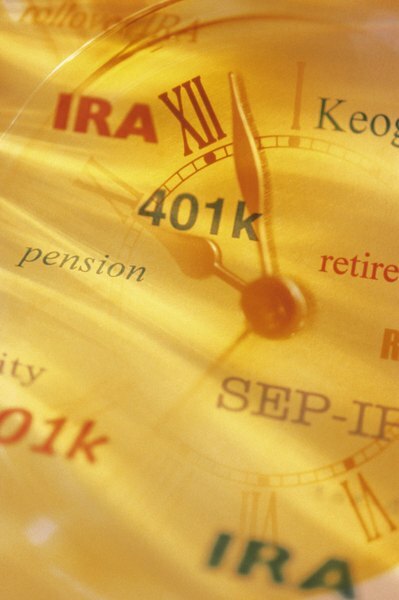 Your Roth IRA expenses may be deductible. 1. What Are Typical Roth IRA Maintenance Fees? 2. Are Administrative Fees for Retirement Plans Tax Deductible? 3. How Can Retirement Accounts Be Converted to Nontaxable Accounts? A Roth individual retirement account is a special type of IRA that works in reverse. With a traditional IRA, you put pretax money in and pay Uncle Sam when you pull the cash out in retirement. You fund a Roth with after-tax money, but everything that comes out of the account is tax-free when you retire. The money you spend to start and maintain your Roth may be tax-free even though your yearly contributions aren't, depending on your tax situation. To deduct the expenses for your Roth, you have to pay them from outside your account. You can do this by writing a check or using an electronic transfer from a different account. You also have to itemize deductions because the investment expense deduction is on IRS Schedule A. Because the Internal Revenue Service lumps investment expenses under miscellaneous itemized deductions, you can only write them off to the extent that they exceed 2 percent of your adjusted gross income. For example, if your AGI is $200,000, you'll only be able to write off the expenses that exceed $4,000. If you have $5,100 in expenses, only $1,100 will be deductible. Investment companies frequently offer Roth IRAs with no startup costs or yearly fees. Some have a small annual fee of about $10 to $20 a year that will be due at startup, although it can be waived if you reach a certain account balance or sign up for automatic contributions. However, you may have to pay a fee to get money out of another account and put it into your Roth. Those rollover and account fees may be tax-deductible. If you choose to work with a money manager who charges an additional setup fee, you may be able to deduct that, too. Your Roth annual fee may be tax-deductible as a miscellaneous itemized deduction, depending on how many other deductions you have. However, any commissions you pay on trading shares in your account are added to your purchase price and subtracted from your selling price, so they technically aren't tax-deductible. These charges would reduce your capital gains tax liability, but because a Roth is tax-free, they're essentially a moot point with that type of account. A wrap fee, which includes account management and commissions, is tax-deductible as an annual fee. Any other Roth-related expenses you have may be deductible as investment-related expenses. For example, if you sit down with an accountant to get advice on what assets to put in a Roth, the cost of her counsel could be a write-off. The costs of books or magazine subscriptions that teach you how to better invest your Roth's funds may also be tax-deductible.